What on Earth is a Waterdog? This past summer SkyTruth and the Downstream Project went up to Northern Pennsylvania to document Marcellus Shale gas development in and around the Pine Creek Watershed, a watershed known to Pennsylvanians as the “Grand Canyon of the East.” Our trip was facilitated by LightHawk, a volunteer conservation pilot association who took us up in a single-engine aircraft to get an aerial perspective on unconventional shale gas wells popping up across the Northern Tier (Read more about our part of the story here). However, one of the most unique features we found was the waterdogs. 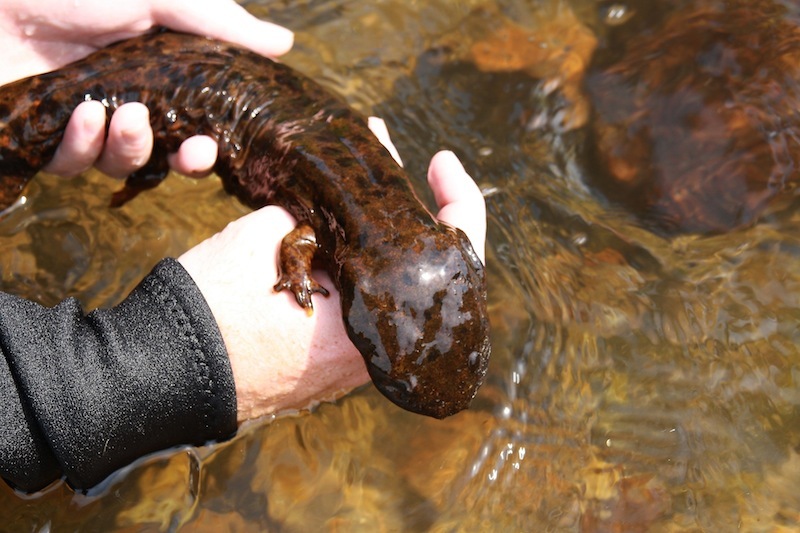 Eastern Hellbender: Image from Davidson College. Waterdogs from The Downstream Project on Vimeo. Special thanks to The Downstream Project, Pine Creek Headwaters Protection Group, Trout Unlimited: God’s Country Chapter, Dickinson College’s Alliance for Aquatic Resource Monitoring (ALLARM), and LightHawk. 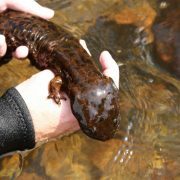 https://skytruth.org/wp-content/uploads/2012/12/hellbender2.jpg 533 800 David Manthos /wp-content/uploads/2016/08/test_logo.png David Manthos2012-12-26 14:39:002019-02-19 10:20:54What on Earth is a Waterdog?